Oceans Alive Marine Education Programs offer a variety of learning experiences and can bring the ocean and its fascinating marine life right to you allowing a unique, fun and hands on experience for your students or group. We also cater to adult groups and can do guided walks of the local rock pools or bring live animals to your special event or enrichment programs. Any topic can be catered for so why not get your friends and family together for a unique experience. For labs on specific topics please call us and we will be happy to discuss adapting classes to your needs and budgets. 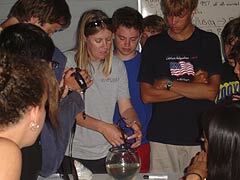 Oceans Alive Marine Education is run by Kristy Nash a marine biologist and educator with over 8 years experience in marine science education. Kristy has experience both internationally and locally and can adapt classes to meet your requirements. The business is based in Port Macquarie and visits throughout the greater Hastings/Mid North Coast Area. 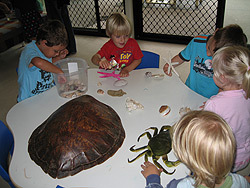 Visit our web-site at www.oceansalive.com.au to see our list of programs and contact details.